So you’ve decided that WINPRO products might be a good fit for your pup – congratulations! Welcome to the pack! But before you go purchasing your first pouch, we ask that you first take some time to examine your dog. Below we’ve outlined the three major uses for our WINPRO pet products. Take a peek at each category and the corresponding WINPRO products to see what might be the best fit for your pet. Just as humans take a daily multivitamin or a shot of apple cider vinegar every morning, dogs need to take preventative measures, too! This need is the basis behind WINPRO Immunity. When you think about it, your dog probably encounters more germs and bacteria than you do; they’re often outside, they spend the majority of their time on the floor where grime and dirt lives, and they’re dogs; they always get into some kind of trouble which usually leads to a bath. 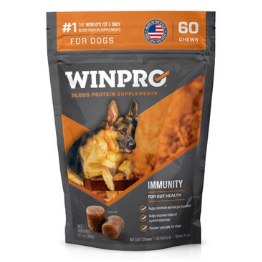 WINPRO Immunity chews are specifically formulated to help boost your dog's defense against things that can undermine its immune system, like everyday germs and bacteria and beyond. For puppies especially, WINPRO Immunity is a great place to start when looking to set your puppy up for success. As a puppy’s immune system is still developing as they grow, it’s important they’re able to put their best paw forward. Even with an older dog who sports a fully developed immune season, they’re still susceptible to the illnesses and disease. We recommend putting up a defense against these and other common diseases with Immunity. 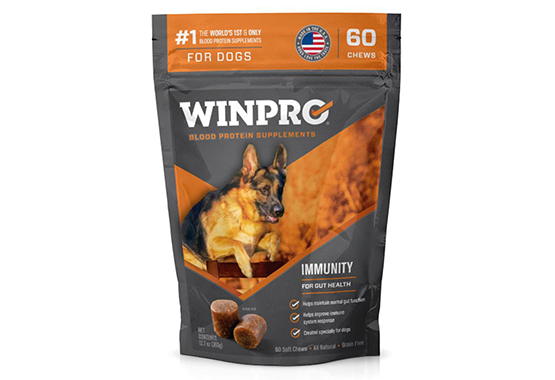 WINPRO Immunity offers a great starting point for a WINPRO pet supplement regimen. It provides a great basis for gut health that you can build on with our other products. 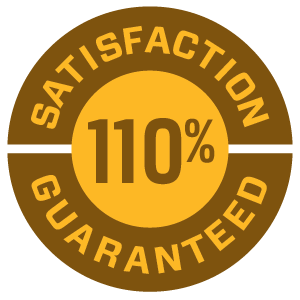 Similarly, our other products are formulated to prevent other common dog ailments. If your dog has a history of seasonal allergy problems, starting a routine of WINPRO Allergy helps prevent those symptoms from returning come spring. 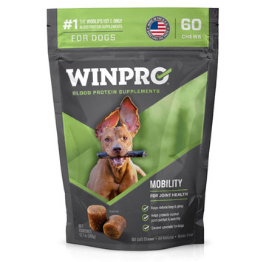 As dogs age, we recommend implementing WINPRO Mobility to relieve the aches and pains that come with getting older. And finally, we’ve found that many dogs experience anxiety when experience loud noises, when traveling, and during times of stress. Giving your dog WINPRO Focus before the dog encounters these circumstances will help reduce these feelings of anxiety and stress and make things easier for the both of you. If you can address these sorts of common issues before they start, you and your pup will be better for it. When your dog is experiencing sickness symptoms, we still advise paying a visit to your veterinarian. 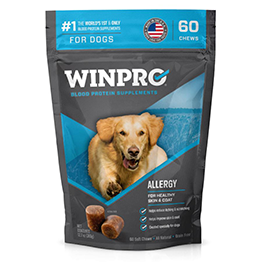 Our WINPRO products, though, do offer a natural alternative to such a costly visit, as our chews work to regulate your dog’s overall health and happiness. And finally, we love our dogs; they’re a beloved member of our families and we want them to be as healthy as they can be for as long as possible. 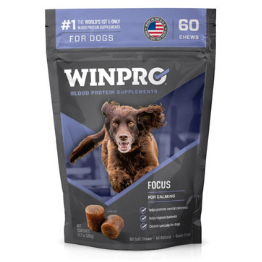 ALL WINPRO products are designed to help ensure your dog has a long, healthy, and energetic lifestyle. As dogs age, illness, fatigue, and the overall slowing down process is inevitable. (The same can be true for humans!) Implementing WINPRO supplements can help deter this process. The chews have improved the energy and mobility of my 13-year-old lab - I've really noticed a difference!